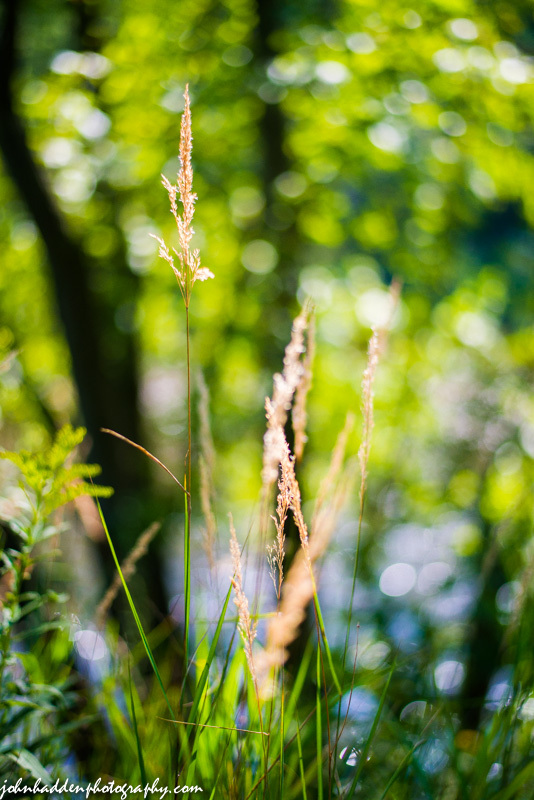 The midday sun backlights these drying grasses between the railroad tracks and the Winooski River in Jonesville. The first colors of fall are beginning to creep in. This pagoda dogwood was popping red down by the Winooski River in Jonesville. 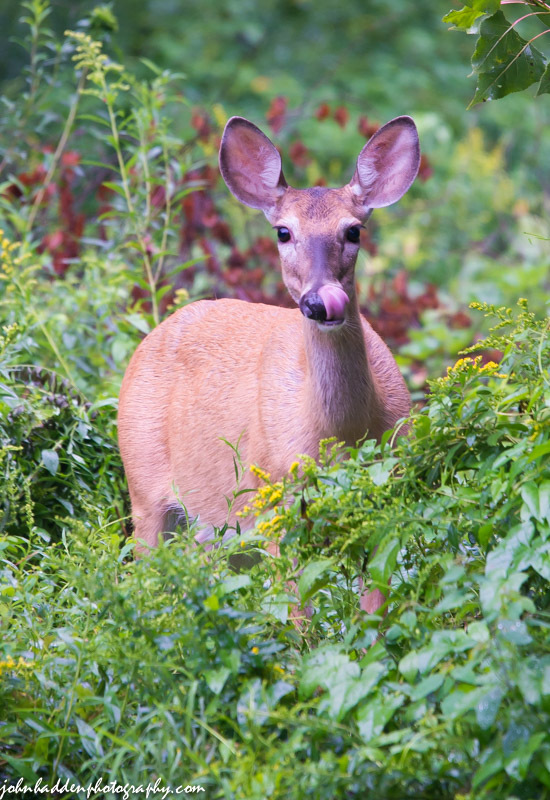 Nikon D600, Sigma 120-400mm lens @ 400mm, ISO 1250, f/7.1, 1/50″ exposure. 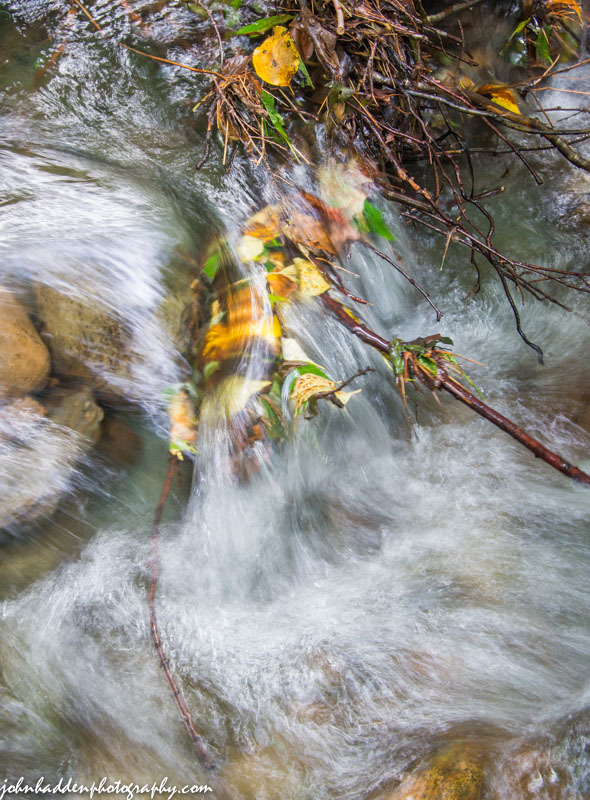 The right shutter speed and light angle combine to make flowing water look like cellophane molded over rocks. 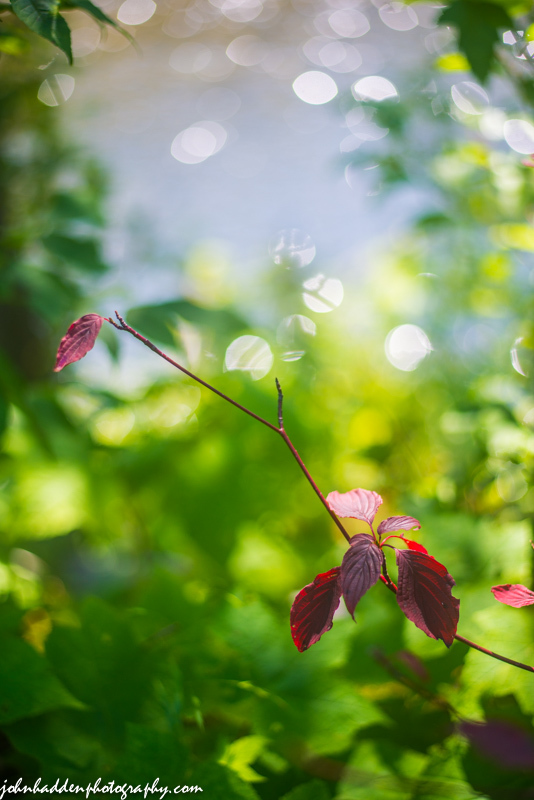 Nikon D600, Nikon 24-120mm lens @ 120mm, circular polarizing filter, ISO 200, f/9, 1/10″ exposure. Tiny dew drops cling to a spider’s web in the grass. 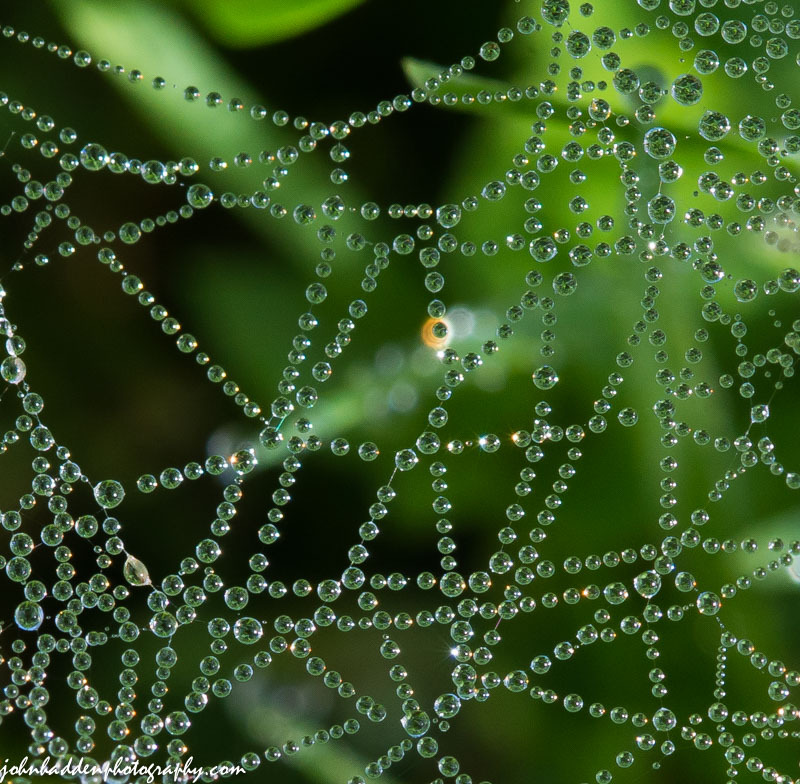 These tiny beads of dew were clinging to a low-slung spider’s web in the grass by the pond. I’d say the largest drops were smaller than half-a-millimeter. 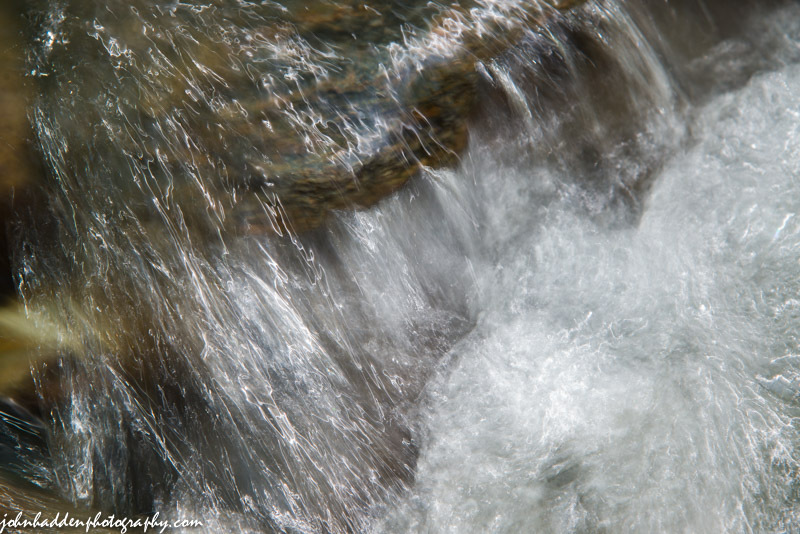 Nikon D600, Nikon 24-120mm lens @ 120mm, circular polarizing filter, ISO 400, f/18, 1/8″ exposure. 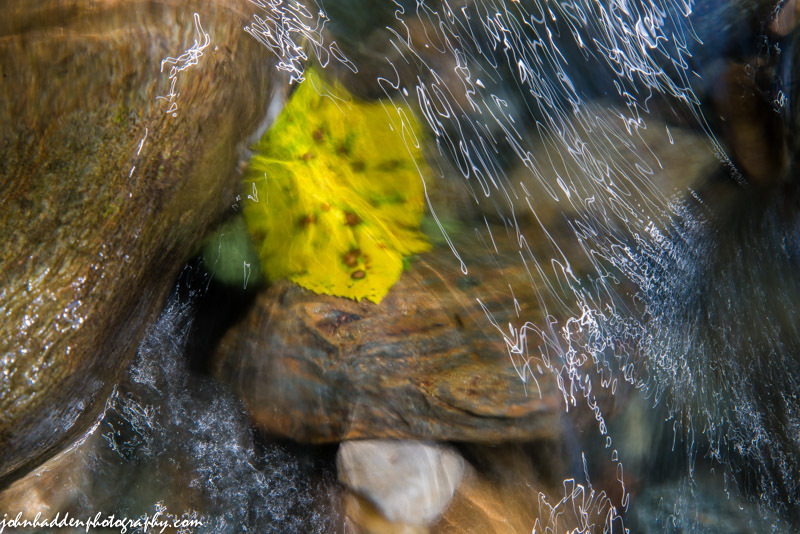 Colorful leaves get hung up on sticks and branches in Fargo Brook. Nikon D600, Nikon 24-120mm lens @ 40mm, circular polarizing filter, ISO 1000, f/9, 1/8″ exposure. The term “supermoon” gets bandied about a lot by the media. The term itself is a concoction of the media and astrology, but it does refer to a true astronomical phenomenon known as a “perigee-syzygy“. This is the coincidence of the the moon being full (or new) and its perigee, or closest approach to the earth. The “supermoon” appears 14% larger and 30% brighter than your garden variety full moon. 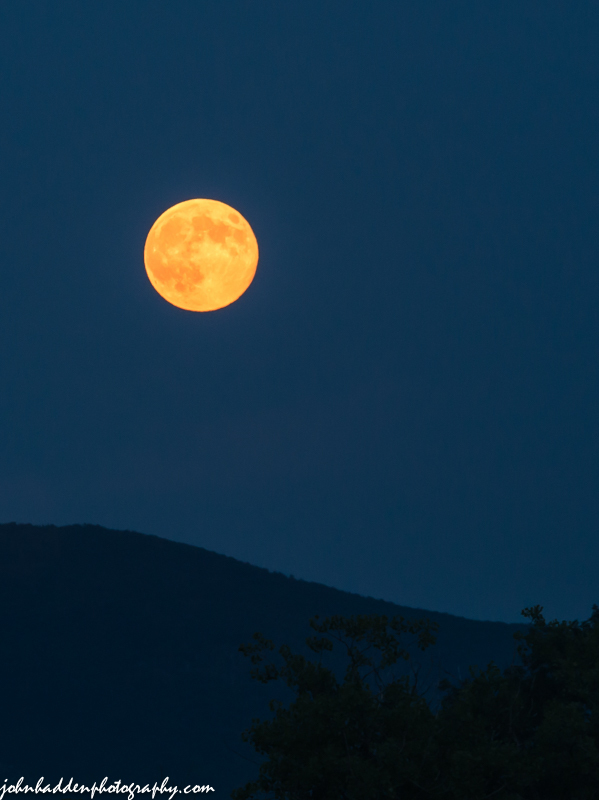 Last night’s moonrise was quite lovely, and the moon sported a coppery color dues to smoke in the atmosphere from forest fires in western Canada and the US. I took today’s shot from a favorite spot up on Texas Hill Road. Nikon D600, Nikon 24-120mm lens @ 120mm, ISO 800, f/9, 1/6″ exposure. 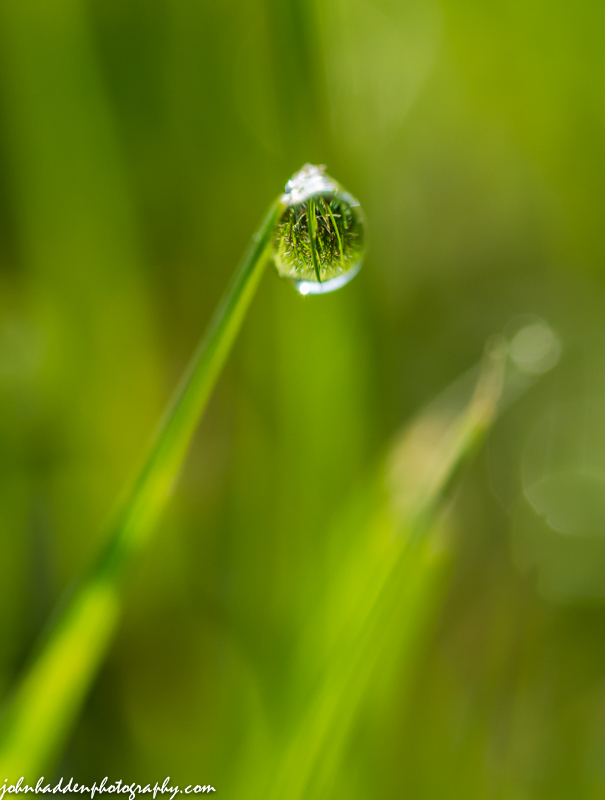 A solitary dew drop clings to the end of a blade of grass.